Hi everyone, long time no see. So as you can tell, I finally bought a car. For those who don’t remember, several months back I asked for advice regarding Celica GT-S’, and you guys delivered. 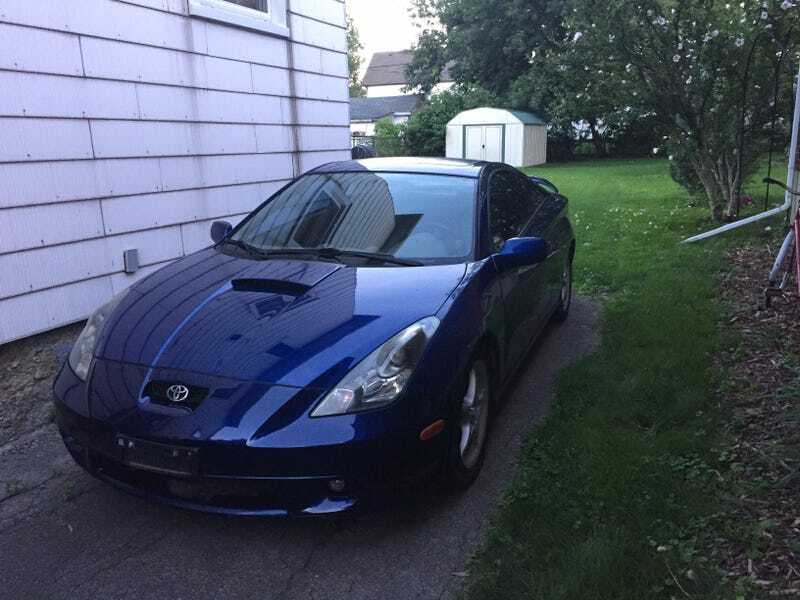 Well, as of today I am the proud owner of a 2001 Toyota Celica GT-S. This is a nice step for me as I also will be attending an automotive program in college this January (or September if I get in on the wait list). But before I can really drive it I have to go through getting plates, insurance, etc. And even then, this thing won’t be seeing a road for a good while. Part of the reason being I don’t know if I’ll have enough money to balance out driving a car to college (though that would be ideal). Other factors include getting new tires ( the current treads are almost burnt out), the safety/e-test, potentially replacing the aftermarket exhaust, and of course, I still gotta learn to drive the thing as I’m learning to drive stick still. The cars got a stage 1 clutch, so ya really gotta put your foot down to activate it, and there’s not a whole lot of play either (or so my dad and the previous owner say). It’s also got a 700W 5-channel Kicker audio system with a 12" subwoofer in the back. The audio is crazy good, but I am looking to downgrade the subwoofer in the trunk, since my cargo space is minimal at best. Today my dad and I plan to go to the MTO office to get things sorted, and then after that I plan to buy a car cover (since it’ll be a while before she sees any roads methinks). First thing I’ll do before that though is vacuum the heck outta the car most likely, it could use a good rundown on interior detailing. Hey! Long Time No Post!